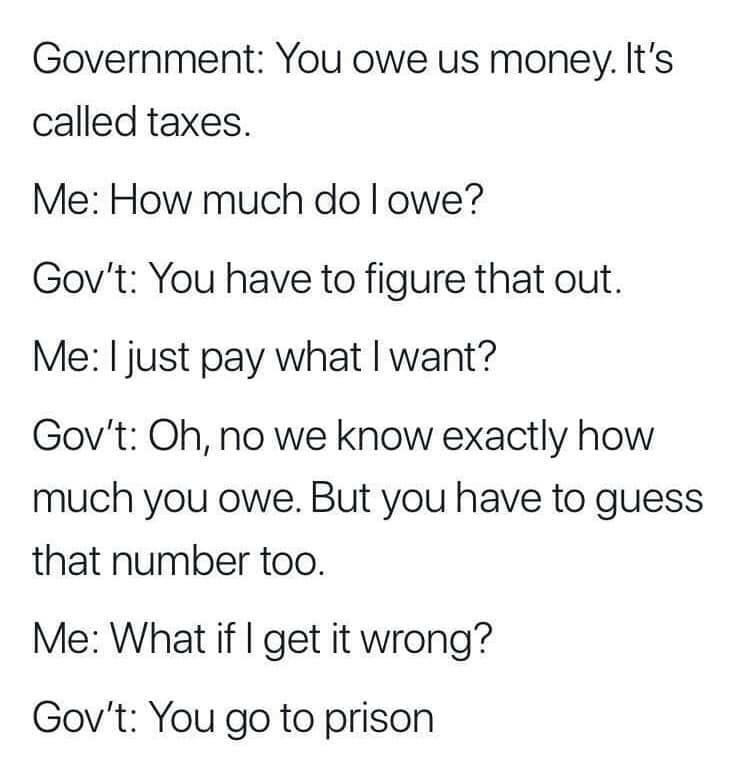 The Truth needs to be told,, the government DOES not know EXACTLY what you owe until you file. Then the government checks your return and income and if they are satisfied you get a "pass" to next year. If they find you did not pay enough they ask for more plus penalties and interest and maybe an audit.